We celebrated yesterday with friends, family and neighbors! I think I tried every version of corned beef and cabbage known to man, and had my first Irish Car-bomb since college! This mama still has it (not really, not really at all!). 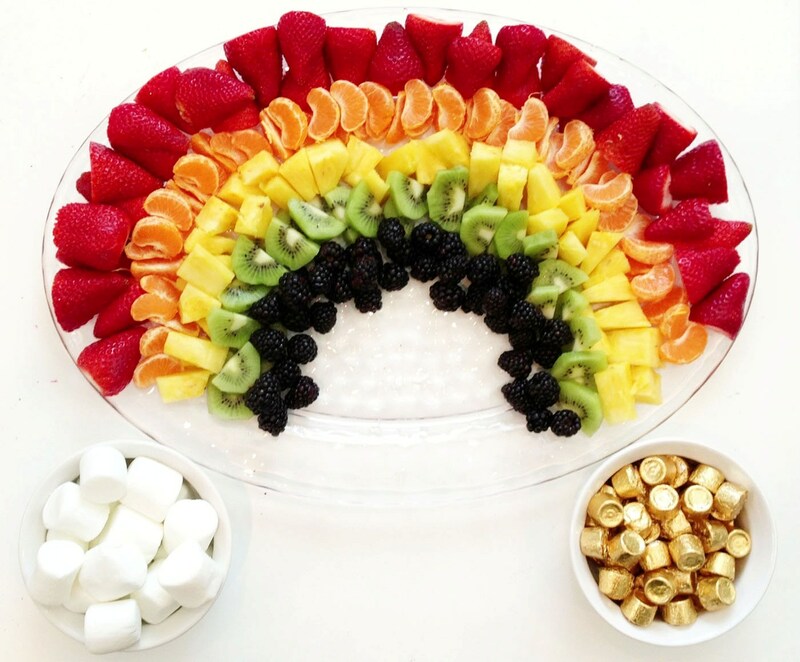 I made this easy, fairly healthy, and festive rainbow fruit platter! Within minutes it was attacked by all the kids, and I was happy to see they went for the fruit before the “clouds” and “gold”. I used strawberries, Cuties, pineapple, kiwi and blackberries. You could definitely use cantaloupe, honeydew, green or purple grapes, blueberries, and mango as well. The marshmallows were clouds but whip cream could also be fun, and I used Rolos as the pot of gold! I hope you all have a lucky and SAFE St. Patty’s Day weekend! 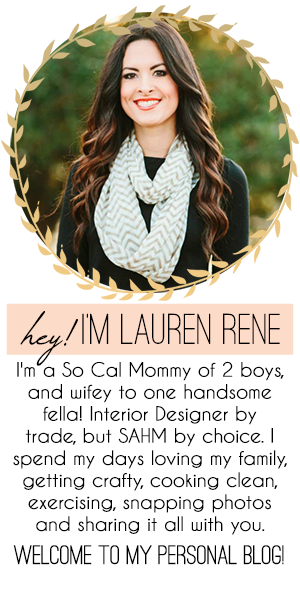 LOVE this Lauren. Such a great idea. Thanks Jenny!! Hope your kids enjoyed your fun St.Patty’s Day surprises too!! I love it! Irish car bombs! Go mama go! Lol….I’m too old for this nonsense! (It sure was fun though!!). Chug a beer, chug a beer, chug a beer like a Kappa can!